Eight talented musicians combine their diverse backgrounds to create a groove that draws on the ancient Malinke rhythms of West Africa. A non stop journey of traditional melodies and riffs driven by a hardworking charge of irresistable rhythm. Featuring Simon Lewis, Roland Cox, Matt Rodd, Shabba Eshun plus live dancers and special guest artists including vocalist Siobhan O’Rourke and master drummer Bortier Okoe (Ghana). Marabou Project are available for festivals, functions and corporate events. They play a variety of Afro, latin and jazz grooves. They also provide live African drum & dance entertainment as part of their show. During May 2014, Melbourne Djembe were honoured to host Bassidi Koné from Mali, West Africa. 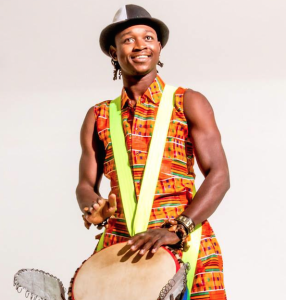 Bassidi is an exceptionally talented balafonist and djembe fola who was raised by a family of griots. 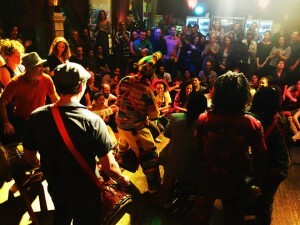 Bassidi joined Marabou to create the ensemble Koné Express, who received a grant from the Australia Council for a national tour. This tour included sold-out performances at the Mornington Winter Jazz Festival (Melbourne), Bella Union (Melbourne), The Nexus (Adelaide), and BEMAV World Music Café (Brisbane). 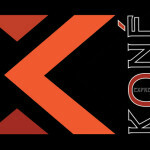 At this time, Koné Express also they launched their debut album “Non Stop” – full of dance-able Afro beats, enchanting balafon and catchy grooves.